We talked a few weeks ago about STRESS and its impact on our health and our relationship with our families. I challenged you to be more aware of your breath and take the “Moment to Breathe” challenge, and a few of you chimed in after trying it that it’s really working!! Personally I found being aware of my breath and its ability to control my bodily reaction to stress to be life changing and revolutionary! Why? Because I can control my breath, and in this world where too often things feel out of control, that’s a game-changer. See Stress Mastery Part 1 where we talk about mastering your breath here. 0:01: Did you know that the best rate of breathing is 6 breaths per minute? That’s 5 second in and 5 seconds out. 0:43: A couple week ago I defined stress as the difference between your demand and your capacity. By using these stress mastery techniques you can decrease the gap between them. 1:27: How we respond to our circumstances can either increase or decrease our sense of stress. Your capacity is the bucket of energy and ability you have available to deal with stressful situations. 1:49: I share an example to show how your capacity can change throughout the day and affect your ability to respond. 2:42: Stress is really bad for us. It can negatively impact sleep and lead to many diseases. 3:01: Today we’re going to talk about Dr. Heidi Hanna’s BFF strategy to reduce stress. 3:32: In part 1, I challenged you to focus on your breath and take longer deeper breaths to reduce your stress response. I’ve heard from members of the KCRF community that it’s really making a difference! The more you practice, the easier it will be! 4:08: The BFF strategy works from the bottom up in your brain to pull you out of reactive mode into a calmer mode so you can respond. 4:34: The B in BFF is your Breath. Again, the ideal breath is 5 seconds in and 5 seconds out. Extend the exhale by a second or two when you’re experiencing an acute feeling of stress. 5:25: Once we’ve calmed the lower part of our brain through our breathing, we can move into the mid-level of the brain. (Also called the monkey brain.) We need to allow this part of our brain to Feel a positive emotion. 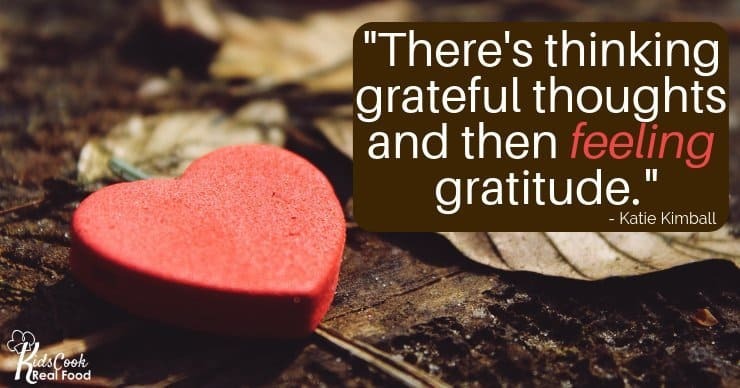 Research shows that gratitude is a very effective emotion to combat stress. 5:51: There’s a difference between saying “thank you” for something and actually feeling a deep sense of gratitude. 7:14: The logical, thinking part of your brain needs to Focus. Try asking questions like: “Who do I want to be today?,” “What kind of parent do I want to be for my kids?,” “What kind of employee do I want to be?,” etc. 8:00: I share how I implement this strategy in the morning as a Christian. God tells us to be grateful, slow down and pray. All this science is what God has known all along and we’re just now figuring out neurologically how it works. 8:50: When you go through this strategy in the morning, try to pick a very specific focus for the day. Some examples are: be a focused finisher, be present with my kids, or show love. Imagine yourself embodying your focus throughout the day and what it will specifically look like. 9:50: I highly recommend starting your day with the BFF strategy. Starting your day with email, social media, or the news will set you up for more stress. 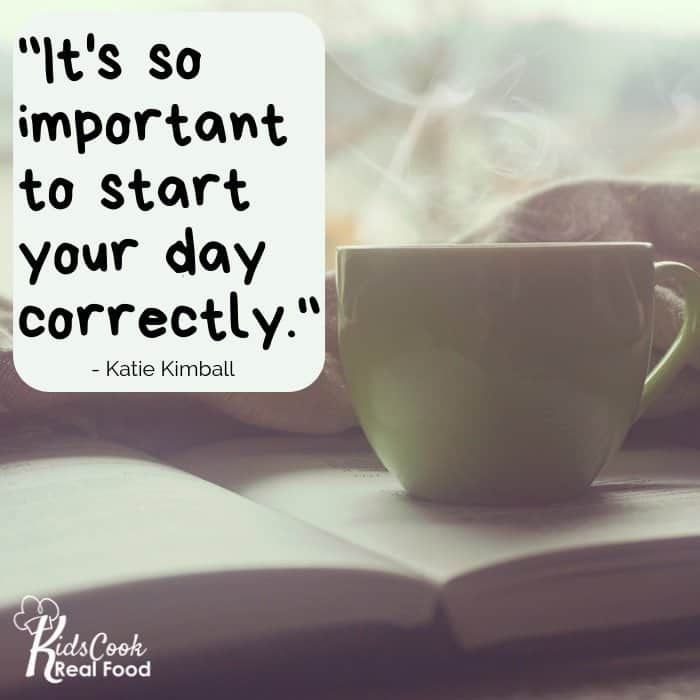 Research shows that the first hour of your day sets the tone for the rest of the day. 11:21: Many stress management gurus say you need to look at the demands on your time and cut out unnecessary things to reduce stress. That works to a point, but it isn’t possible for everything. I can’t cut my toddler out of my day if he’s causing me stress. However, we can increase our capacity to meet our demands. 12:11: I give a visual representation of the demand/capacity gap. 12:31: There are two ways to increase our capacity. 1. Use the BFF strategy we just went through. 2. Take some recharge breaks throughout the day. 12:43: Recharge breaks have revolutionized my life. I think it’s pretty typical for moms to go, go, go without taking breaks. When we do take a break, we tend to take “funky breaks.” Something like hopping on social media will not refresh you for the rest of your day or give your brain a chance to recharge. 14:11: It’s important to find out what works for you and recharges you most effectively. I like to switch it up. Ask if you are feeling low energy or high energy to help determine what you need in that moment. 15:28: A slower category of recharges include mindfulness, meditation and breath exercises. This would include going through the BFF. There is a link below with some free short meditations. 16:57: We’ve tried a product called Inner Balance. It clips to your earlobe and helps you connect your heart rate and brainwaves. If you’re struggling to master your breathing or you struggle with high blood pressure this is a cool device to help you. I gave ours to my father-in-law and it seems to finally be helping his BP get under control after a scary few weeks and a triple bypass! 19:17: Energy management is the second category of recharges. This includes physical things like when and what you’re eating, and movement. 20:43: I share an example from my afternoon of how you can work within your demands to make a choice and then be present and appreciate it. 21:29: The third recharge category is creativity, spirituality and what we give to the world. 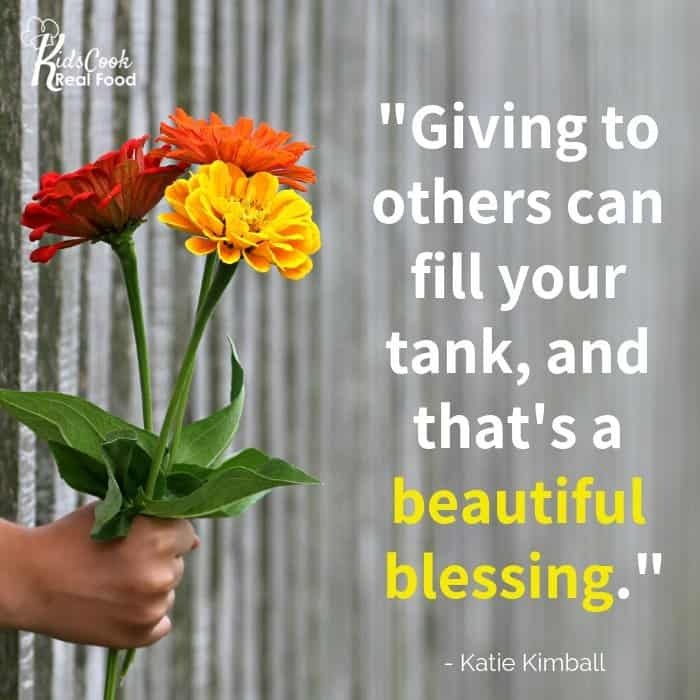 Serving and helping others can fill us up. If your job is very creative this category may not be as recharging for you. 23:05: Your attitude matters as to whether something will fill you up or not. You can sit with your kids to read for 10 minutes and either: you feel it is an inconvenience and think of what else you could be accomplishing during that time, or you are present and grateful for the opportunity you have to sit with your kids. 23:51: Dr. Hanna has a free stress survey you can take in a couple minutes to figure out your stress level. 24:30: If you feel stress physically in muscle tension or headaches, you may need massage or quiet time alone as a recharge. If your stress manifests as racing thoughts, going for a run might be a better fit for you. 25:02: Finally, we’ll talk about how to unwind at the end of the day. Better sleep leads to greater capacity the next day. 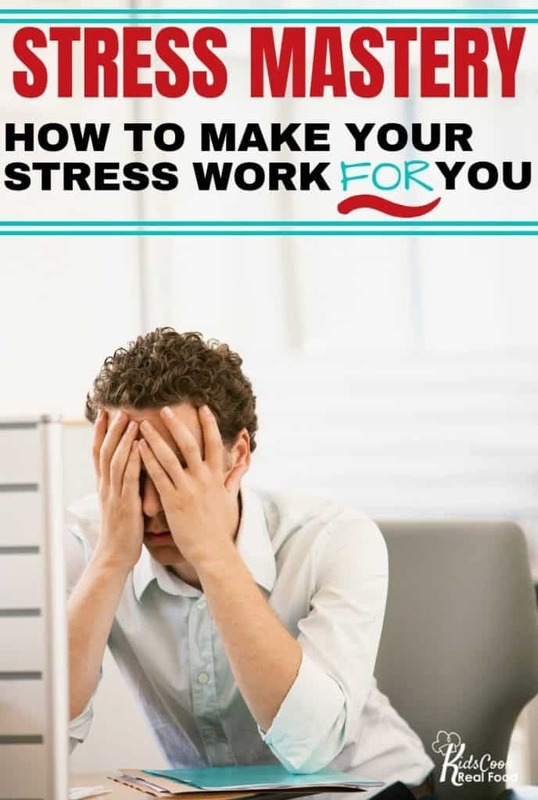 Take this free quiz to find out how stressed you are. Free recharge suggestions and meditations.